Christmas may be the most wonderful time of the year, but it’s also one of the most stressful–and most expensive. Expectations run high and it’s tempting to whip out the credit cards to create the perfect Christmas for your family, with lavish meals, new decorations, and the latest, greatest gadgets and fashions for everyone on your Christmas gift list. Financial expert Mary Hunt shows readers how. She helps readers assess their financial situation, commit to no new debt, and think creatively about their gift list. With Mary’s guidance, readers will identify what has caused them to overspend in the past and approach this Christmas with a plan and a new attitude toward holiday spending. This just might be the best gift you can give yourself and your family. Many years ago, I read The Financially Confident Woman by Mary Hunt. I was blown away. I can’t tell you how much I learned from this book. It completely changed my life and helped me get out of credit card debt. Credit card debt is like walking around with a huge sack on your back. I remember those years like if it were yesterday. I am grateful I am no longer in the same situation. 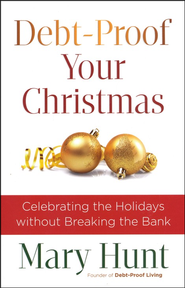 When I heard about Debt-Proof Your Christmas, I had to read it. Mary Hunt’s books are so helpful, full of savvy ways to learn how to budget, spend, save and much more. You won’t go wrong reading any of her books. I don’t know about you, but Christmas is a stressful time. I struggle with wanting to be generous and buy nice gifts for those I love. However, my budget doesn’t allow for it. I have been guilty of putting everything on a charge card and incurring debt. It then would take me months to get rid of the holiday debt with all of my regular monthly expenses compounding. Debt-Proof Your Christmas served as a great reminder to me on where my priorities should be and it’s not on gifts. Unfortunately, Christmas has become a materialistic holiday. We seem to get caught up in the fervor of spending and lose focus on the true meaning of Christmas. With all the hustle and bustle, running here and running there, we hardly have time for what truly matters. It isn’t about spending a ton of money on expensive gifts and incurring debt which only adds more stress and ultimately makes you miserable. Debt-Proof Your Christmas put everything in perspective. I love all the tips, recipes, creative and practical ideas this book offers. I am glad I was able to read this book before Christmas. I learned so much and will definitely implement what I learned this Christmas season. If you struggle with spending too much around the holidays and need practical advice and ideas on how not to, then this book is for you. I highly recommend Debt-Proof Your Christmas. In conclusion, I want to thank Revell Publishers for sending me a complimentary copy of this book to review. Click here to watch Mary Hunt’s interview on the Today Show (with Kathie Lee & Hoda) talking about Debt-Proof Your Christmas. Mary Hunt is an award-winning and bestselling author, syndicated columnist, and sought-after motivational speaker. She is founder and publisher of the interactive website Debt-Proof Living, which features financial tools, resources, and information for her online members. Her books have sold more than a million copies, and her daily newspaper column is nationally syndicated through Creators Syndicate and is enjoyed by hundreds of thousands of Everyday Cheapskate readers. Hunt speaks widely on personal finance and has appeared on shows such as Good Morning America, Oprah, Dr. Phil, and Focus on the Family. She and her husband live in California. Nicer car, bigger house, whatever your heart desires. Everybody wants to live The Good Life. 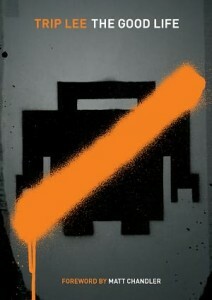 But what happens when dreams become nightmares and the promise of freedom leads to a life of imprisonment? What happens when you discover that all that’s gold loses its glitter? Maybe the rich and famous aren’t living The Good Life. Maybe our dreams are rooted in lies. And maybe, just maybe those who have less really have more. What is The Good Life…really? In this book, titled after his acclaimed fourth album, The Good Life, Christian rap artist and author, Trip Lee, unveils what the world, the flesh and the devil promote as the ultimate and most satisfying life. He then explains what The Good Life really is: a life within our reach and yet beyond anything this world has to offer. Imagine: The Good Life. The Good Life is only 176 pages, but potent. I confess, I thought I would breeze through the pages in no time. But I was wrong. The Good Life is deep and meaty. It’s not a glass of milk, but a thick piece of filet mignon. I found myself chewing long and hard through this small, but powerful book. As you know, I read and review many books. I sometimes come across books which I believe are not doctrinally sound. However, I didn’t find this to be the case with The Good Life. Trip Lee presents the gospel in such a sound and balanced way. I’ve known Trip Lee by his music. He is a gifted rapper. I happen like good Christian rap music and follow him and others. I have to say, I was impressed to see his level of spiritual maturity and insight expressed in his book. I could see him transitioning and becoming a full time pastor. Overall, I think this is a great book. I believe The Good Life should get into the hands of everyone, whether saved or unsaved, but mostly, our youth. I believe this book will resonate with the youth in a profound way. I commend Trip Lee for writing such a biblically sound and relatable book. May the Lord bless him as he continues to follow, live and glorify Jesus here and across the earth. Thank you Moody Publishers and Pure Publicity for sending me a complimentary copy of this book to review. The following is a song called I’m Good from Trip Lee’s The Good Life cd. William Lee Barefield III, better known as Trip Lee, is a Christian hip-hop artist under the Reach Records label. Trip Lee’s music has topped Billboard charts, the iTunes chart, and has received Dove nominations and a Stellar Award. His Christ-centered and God-exalting music has reached thousands with the Good News of Jesus Christ.Trip Lee now resides in Washington, DC with his wife and is finishing his Biblical and Theological Studies degree with Boyce College. Trip’s unending desire is to proclaim the grace and beauty of Jesus Christ to anyone that will listen. Ultimately, he hopes this journey will someday lead to pastoring a church. 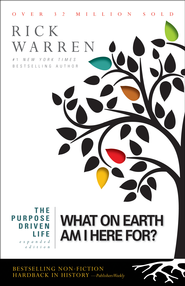 Ten years ago, Rick Warren wrote The Purpose Driven Life, which became the bestselling hardback non-fiction book in history, and is the second most-translated book in the world, after the Bible. PDL has inspired and changed tens of millions of lives … more than any modern book. NOW, Rick has updated and expanded the book with new chapters on the greatest barriers to living your purpose, plus 42 video introductions to each chapter theme, and 42 additional audio messages that go deeper into each chapter. He has also created a new small group curriculum and new sermon series for pastors, and new follow-up events to conserve the evangelistic and discipleship results you will experience. In the original 40 Days of Purpose campaign, churches averaged 28% growth in attendance, and over 100% growth in small group Bible study! People WANT to know their purpose in life! The Purpose Driven Life will enable a new generation in your church to discover God’s purposes for their lives and empower your church with a fresh new wind of hope, joy, and vitality! Wow! I can’t believe it’s been ten years already. I first heard about The Purpose Driven Life in March 2005. It was when this woman was held hostage. Her name then was Ashley Smith. She’s married now and goes by Ashley Smith Robinson. Her story is amazing because as a result of reading excerpts of The Purpose Driven Life to her captor, he let her go and turned himself in. When I read this story in the news, I went out and bought the book right away. I was fascinated to know what The Purpose Driven Life was all about. I read it back then and started telling everyone in my circle about it. I even bought copies and gave them out to people. I love everything Pastor Rick Warren preaches and writes about. He has a brilliant way of breaking things down and making difficult concepts easy to understand. He keeps your interest and he is never boring. The anniversary edition of The Purpose Driven Life is even better. There are two new chapters added: “The Envy Trap – I must be like you to be happy” and “The People-Pleaser Trap – I must be liked by you to be happy”. Also, what I totally think is fabulous, is there are QR codes and web links incorporated providing a video intro and 30-minute audio message by Pastor Rick Warren for each chapter. If you are not familiar with Pastor Rick Warren, The Purpose Driven Life is a great introduction. 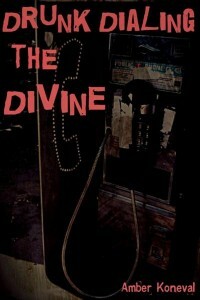 This is one of my favorite books ever. I highly recommend it to everyone. In conclusion, I want to thank both Zondervan and Thomas Nelson for sending me a complimentary copy of this book to review. I’ve been quiet lately. I’ve been processing since my return from a conference and the aftermath of Hurricane Sandy. I’ve been thinking the three C’s: Christians, Conferences and Churches. I realize in all three, people hide behind a masks. I remember learning the waltz once. I believe it was when I was attending acting school years ago. I didn’t find it difficult to learn. As with any dance, there must be proper form. The traditional waltz is both elegant and dull. Christians seem to like to masquerade and dance the waltz. We seem to like to hide and go around in circles. 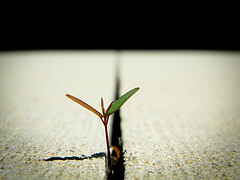 Much like the Israelites did in the desert, never entering in and reaching the promise land. We’re just dancing in circles like a bunch of lost robots with plastered smiles on our faces… meanwhile we’re dying inside. I don’t know about you, but when I walk into a room full of Christians whether at a church or conference, it seems I can feel the weight of their pain and hurt behind their smiles. Their smiles say one thing, while their eyes say another. Switching their gaze away quickly, lest anyone finds out. The truth. We are so afraid to be found out and exposed. So afraid to be seen for who and what we are. So we just carry on, dancing the waltz and hiding behind our masks… smiling whilst our hearts cry and souls die. 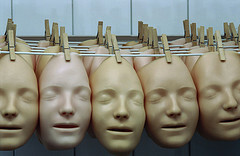 Why do you think people wear masks? Who doesn’t like being liked and accepted? We all do. We innately want to be appreciated, accepted and liked by others. Whether it’s our family, friends, co-workers or acquaintances. There is this inner need to be liked. But, there comes a time when we have to risk not being liked for the sake of integrity. What is the point of living a life void of truth? Truth matters in relationships. I’ve always been a seeker of truth. I do not like to live in lies, deception or falsehood. I like real. I like honest. I like truth. Yes, even if it cuts. I rather the truth than a lie. It’s easy to go through life in a cocoon. It’s safer. You don’t make waves, you don’t offend, you just get along and live stress free. Too many of us are living in a bubble and trying to escape reality. But, running and escaping isn’t going to get us anywhere and will only prolong the inevitable. We say we are followers of Christ, but what does that mean? I’ve learned it means different things to different people. We’d rather make a god of our own understanding rather than follow the God of the Bible. I guess it all comes down to choices. Just like choosing to tell the truth at the risk of not being liked. When Jesus spoke truth in love, it wasn’t a positive or popular message for people to digest. The same holds true today. People are still rejecting His message. We want to chew on the good parts, and spit out the rest. We want to say we are about love and community, but that’s the furthest from reality. Our actions give us away. Our actions demonstrate that we want an easy God, a god of convenience. We only want to be told nice things and to be liked. We don’t want to live in truth, we don’t want the hard things, even if it’s necessary or right. Well, this weekend I was faced with a choice. Either to keep silent or speak up. I chose to speak up and risked being liked for the sake of what is true. Was it easy? No, it was not. But, I’d rather risk, keep my integrity and walk in truth than be liked or accepted by others. What about you? 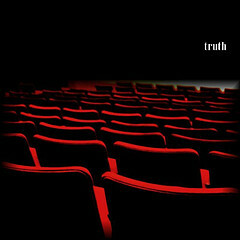 Have you told the truth even when it was hard and at the cost of being rejected? I love that phrase. It makes me feel like twirling around and around like a little kid. Why? Because it is so freeing to live “In the moment”. 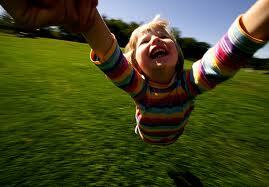 It means I have let go of the constraints of others. It means I have given up trying to control everything. It means that I am not living full of anxiety or worry over the future. I am in the moment. In this moment I can choose to rest. I can choose to risk, I can choose to reach. I can choose to create. I can choose to pray. I can choose to listen. I can choose to serve with an ordinary life in an extraordinary way. There are times in our lives when planning and working toward goals are necessary, but we cannot let our lives become overcrowded with “to-do’s” that we forget that our lives are not our own. Bought with a price, we now belong to God. His vision for us is far reaching and He has plans. Our job is to live in the moment: obedient to Him. His ways are perfect, and by living for Him in the moment, and exchanging my plans for His, I live and breath in His freedom. I delight in His ways. So I will live in the moment. I will let go of my plans and my ways and I will follow His plans and His ways. I will choose to delight myself in Him. I will not be a self-obsessed control freak and I will go where my Father leads me. What is your favorite “live in the moment” memory? Filled with 30 insightful and heart searching questions, this short book is perfect for book clubs and small groups. It is available in paperback and in Kindle formats. This full color book is illustrated and easy to read. Perfect for younger people and for people who have a hard time reading a longer book, The Purpose of Chosen is designed and written to encourage and challenge you. 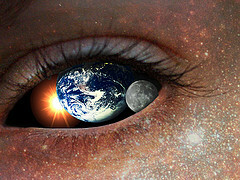 What you believe about yourself affects ever aspect of your life: often in ways you don’t even realize. You may be convinced that “this” is all there is, but there is more for you. You were made for more than a mundane life, you were made to live with purpose. You have been chosen, like David, for more than even you know. When you discover who you are designed to be you can see that life is not just a random stream of evens, but opportunities for greatness– in the moment–and you will also see that if you arm yourself properly, no giant can stand in the way of what God has for you. Click here to buy my new book, and be sure to drop me a line at ayearinthespirituallife@hotmail.com to tell me what you think! Nick Cominisky’s spiritual life is running on empty. With his passion diluted by religious routine and the sapping circumstances of everyday life, he longs to reconnect with God, but following the standard spiritual prescriptions just isn’t working. Since when did loving God become such an overwhelming, tedious task? After meeting Jesus in person under amazing circumstances six years ago, Nick figured life would be smooth sailing, not coasting downhill. Why didn’t Jesus tell him how to make the Christian life work? Just when Nick is stopped dead in his tracks–stranded on the side of the highway with an empty gas tank and miles to go–he finds himself in rich compoany once more. Jesus has returned to give Nick the refueling he desparately needs. And like their first meeting, it’s not at all what he expects. 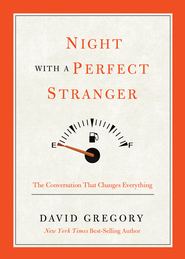 Over a year ago, I read and reviewed Dinner With A Perfect Stranger by David Gregory. I really enjoyed the book, so I was excited to be able to read Night With A Perfect Stranger. I read this short book in one night. I couldn’t put it down. I have to be honest, I love reading David Gregory’s books. His books are fun, not preachy and loaded with theological truth. I had this book sitting on a shelf for awhile and was prompted to read it this weekend. I understand why now. Night With A Perfect Stranger addressed a lot of my questions and concerns. For instance, why religion and a set of rules doesn’t work. Recently, I have been provoked to look at my Christian walk more closely. Perhaps going through Hurricane Sandy made me look deeper into myself and my walk with Christ. There is nothing like going through storms to see where you are at in your Christian walk. Night With A Perfect Stranger was a healing balm for my anxious heart and questioning soul. This paragraph really spoke to me in a personal way. I believe what is missing in Christians is love. There is a lot of religion, but not love. The only way Christians can love others the way Christ does is when they know how much God loves them. I can’t recommend this book enough. I believe this book is a great ministering and evangelistic tool. In conclusion, I want to thank Worthy Publishers for sending me a complimentary copy to review. David Gregory is the author of the New York Times Extended Bestseller Dinner with a Perfect Stranger, as well as A Day with a Perfect Stranger, The Next Level, The Last Christian, and coauthor of the nonfiction The Rest of the Gospel. After a ten-year business career, David earned masters degrees from Dallas Theological Seminary and the University of North Texas. He now writes full-time and lives in the Pacific Northwest. It’s a pleasure to be guest posting for Godly Writers today. I get to share about my writing journey and encourage other Christian writers as well. Today I wrote about The Four F’s: What Sabatages Many Christian Writers. The four f’s are Fear, Focus, Frustration and Failure. An ability to recover from or adjust easily to misfortune or change. This week and in the days ahead, the people of New York and New Jersey will continue to endure hardship and be resilient. The extent of damage from Hurricane Sandy is apocalyptic. We (my family) were fortunate, even so, we are feeling the after effects. We are not able to purchase gas. The lines to get gas remind me of the 70’s when there was a shortage. I must have been about eight or nine years old. I remember it was the summer. One hot and humid day, I decided to be industrious and drag a cooler filled with cold sodas and water in a red wheelbarrow to the nearest gas station. There was a long line of cars waiting for gas. At that time, there wasn’t air conditioning in the cars, so I was able to sell all the water and soda quickly. My entrepreneur, restaurant owner and chef father was proud of me. He was bragging about what I did to all of his customers. These long lines remind me of back then, only this time, it’s not hot out. I do not think the gas situation will be resolved quickly. Another factor which is now being introduced is a shortage of oil. So not only are we experiencing a shortage of gas, but we will also be experiencing a shortage of oil. The apartment complex where I live runs on oil. So this will be interesting. Every time I feel overwhelmed or begin to worry, I remind myself of how we were spared. Right now, there are countless people who lost their homes or who still don’t have any power or worse, a mother who lost both her children. It is cold out. There are families with little children who are freezing. Those who don’t have family to stay with or the means to stay in a motel or even get around. I can’t deny feeling blessed and grateful despite the weight of anxiety and sadness I feel. A good friend of mine told me to blog about what is happening. I actually hesitated to write about it, but perhaps she is right. Maybe I do need to write about what is happening here in the aftermath of Hurricane Sandy. For those of you who reached out and are praying, on behalf of my family and I, we want to say thank you. May the Lord bless you for caring and for your heart of compassion during this difficult time.